Alessandro Ristori and The Portofinos Live! Alessandro Ristori and the Portofinos will be performing live at the Billionaire Mansion for four days – from Tuesday 23rd to Friday 26th of October! During this unmatched dinner experience guests will be entertained throughout the night with live music! 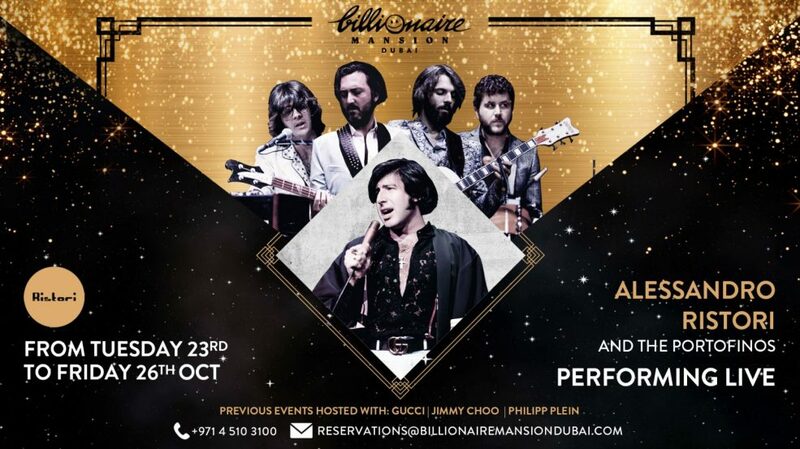 Billionaire Mansion, located at Burj Khalifa Blvd, Taj Hotel, Dubai, will bring you ultimate experience of luxury elegance and melodic Italian tunes.